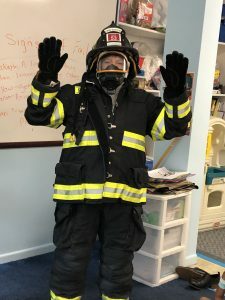 Fire Safety week at The Big Barn had a special visitor! 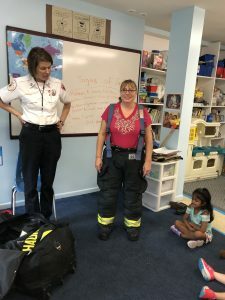 A Fire Fighter! 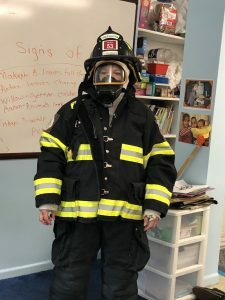 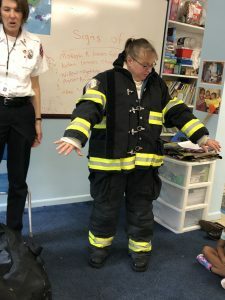 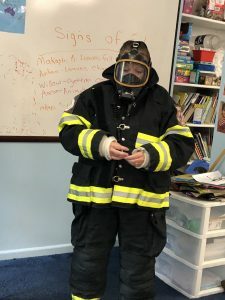 Ms.Bonnie dressed up as a fire fighter!